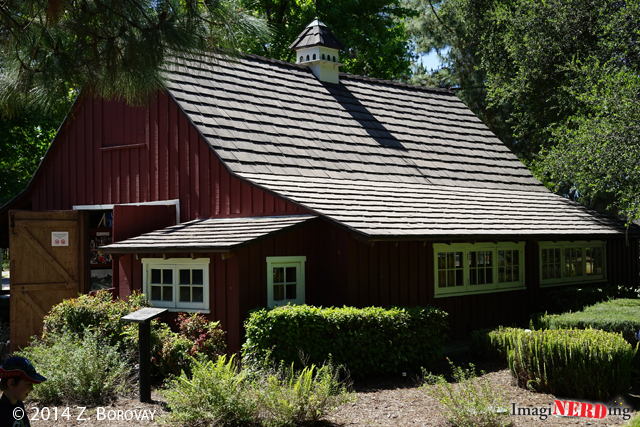 Walt’s Barn was one of the highlights of the incredible Adventures By Disney tour that we took in 2014. During the CommuniTOUR, we had the opportunity to visit some fantastic and historical locations related to Walt Disney and the Disney Company. We did a drive-by (of sorts) of Uncle Robert’s house and the Kingswell Studio and we ate a wonderful lunch at the Tam O’ Shanter. 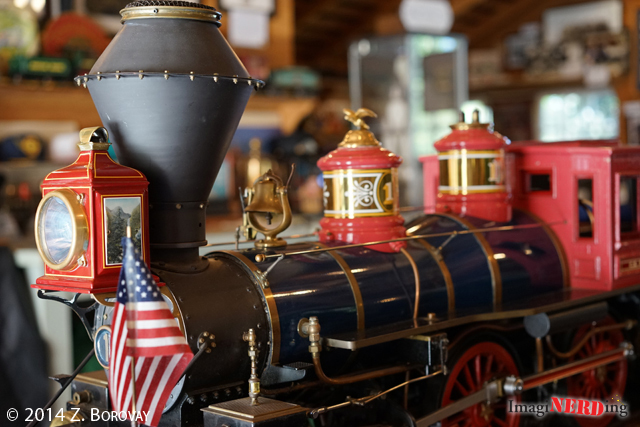 One of the most spectacular parts of the tour was the visit to Walt’s Barn at the Los Angeles Live Steamers Museum at Griffith Park. 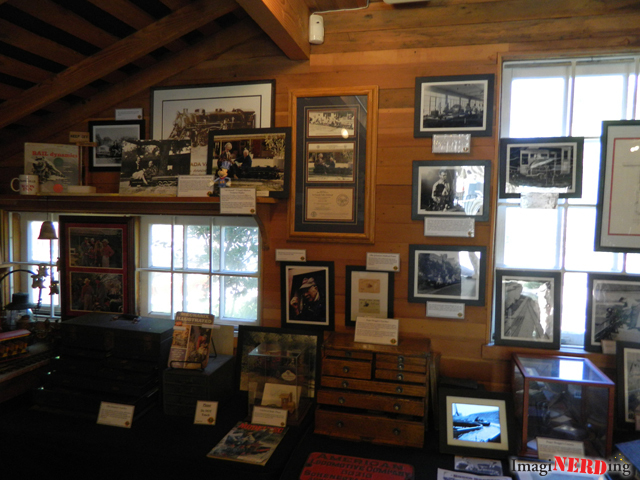 The Carolwood Foundation opens Walt’s Barn every third Sunday (from 11:00 AM to 3:00 PM) . 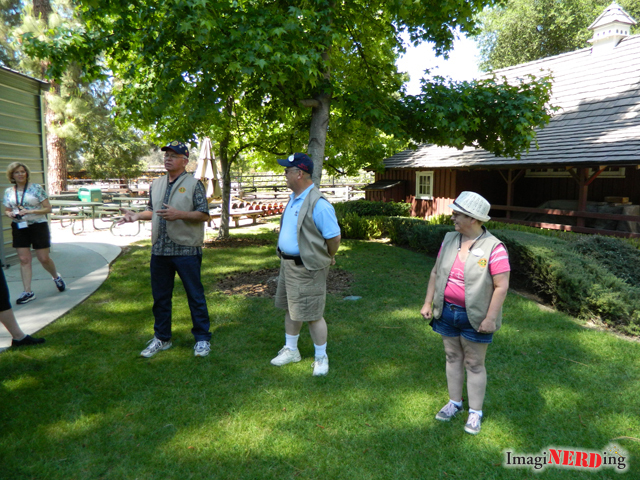 The volunteers of the Carolwood Foundation opened up Walt’s Barn for us as part of the tour. No one on the tour had visited Walt’s Barn before and none of us were expecting it to be as amazing as it was. The tour guides were former Imagineers and Disneyland castmembers. It was obvious that they loved preserving and promoting Walt’s legacy and his love of trains. The general consensus of visiting the barn was a rather hushed sense of awe. The centerpiece is the C.K. 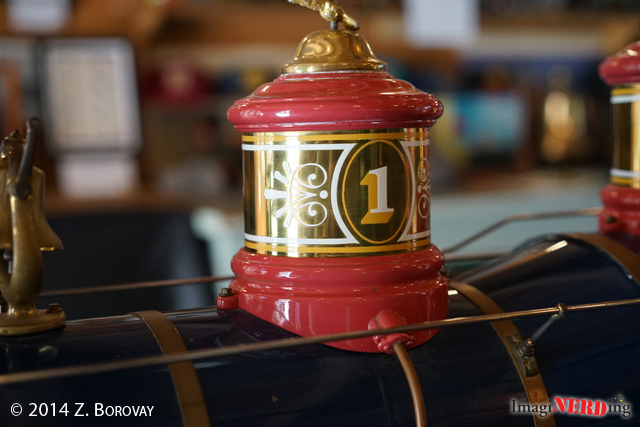 Holliday Live Steam Engine, which is 1/8th scale and is painted to resemble the Disneyland Engine No. 1, C.K. Holliday. 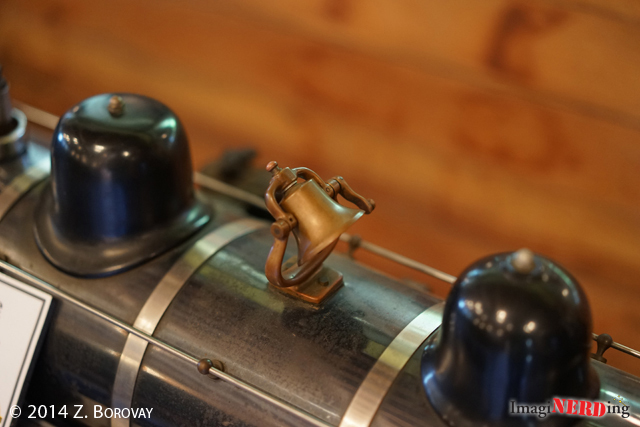 The walls of the barn are full of ephemera and paraphernalia relating to Walt’s love of trains, Disneyland and the animators that shared Walt’s passion for live steam. A few of us questioned why many of the items were so accessible. Weren’t they worried about theft? 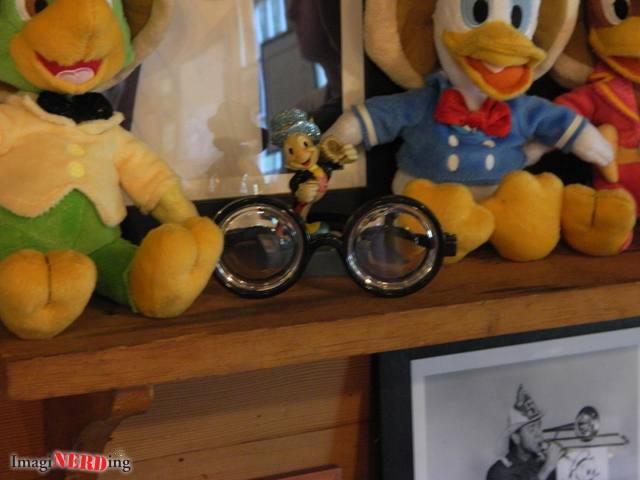 The guides responded that most visitors to Walt’s Barn are so reverential that there was no need to keep the items behind glass.. There really was so much to look at that even a two-hour visit isn’t enough. 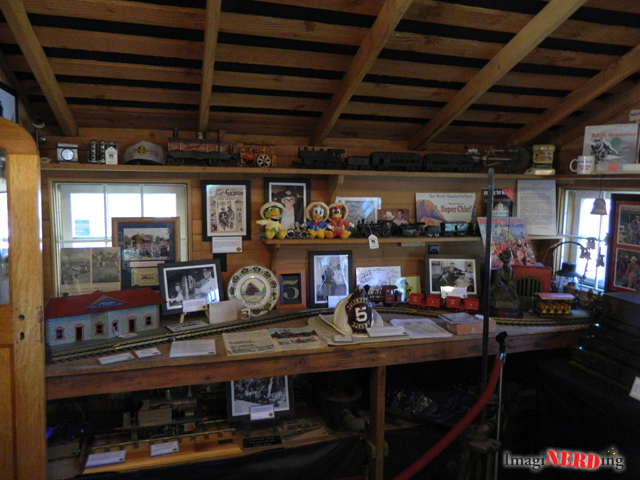 There were photos, press clippings, magazines, souvenirs, board games and other paraphernalia located all over the barn. Yes, that is a Firehouse Five Plus Two helmet. Of course, the owner of these iconic spectacles should be quite obvious. 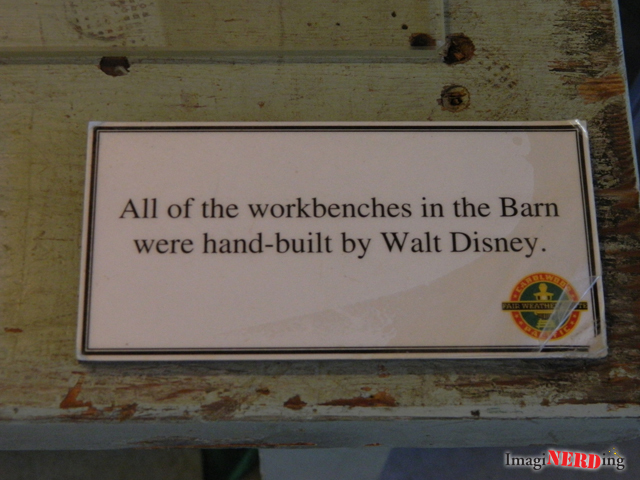 All of the workbenches in the Barn were hand-built by Walt Disney. This was a rather chilling moment for each person on the CommuniTOUR once they read the sign. 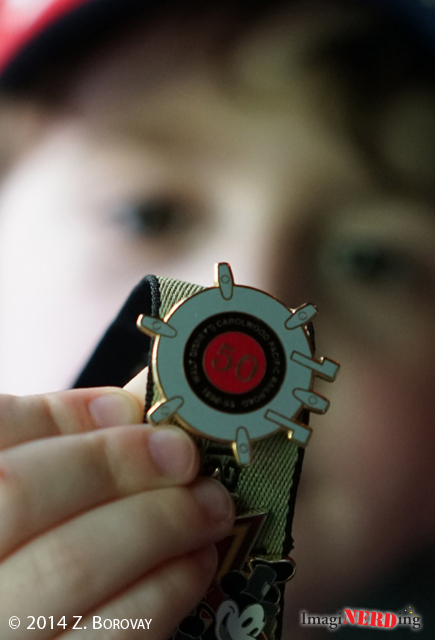 This wonderful pin is available to help support the foundation. 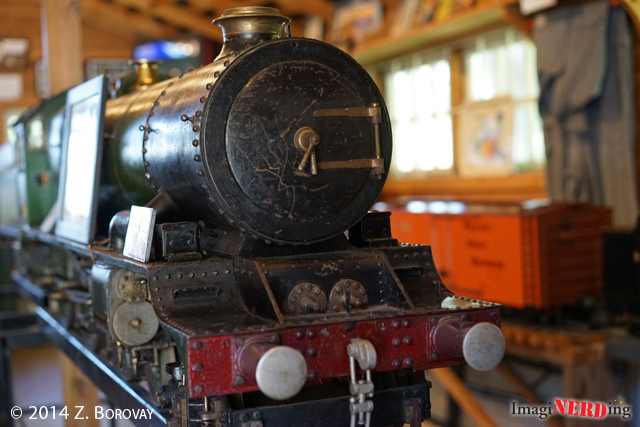 You can also purchase Michael Broggie’s incredible book, Walt Disney’s Railroad Story at Walt’s Barn. If you ever find yourself in the Disneyland area on the third Sunday of the month, I highly recommend visiting Walt’s Barn. 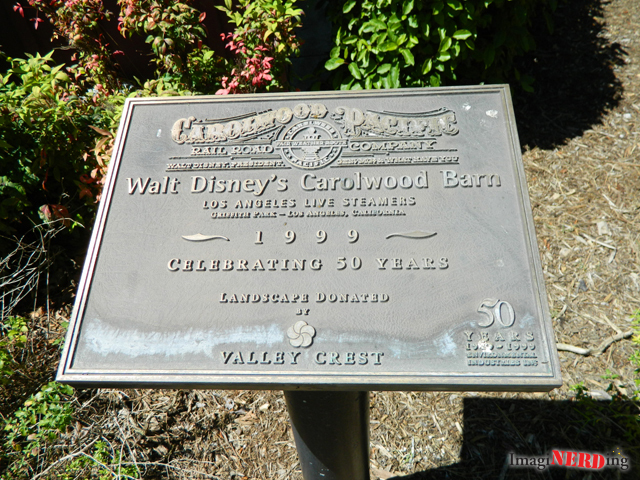 Honestly, it’s worth missing a day at Disneyland to experience the history of Walt’s Barn. 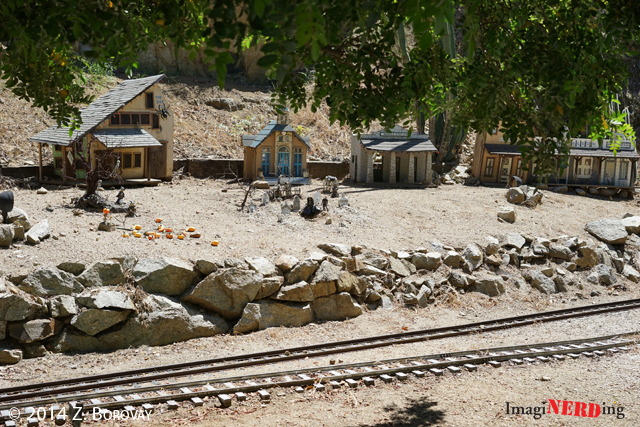 In addition, there’s a Retlaw1 Combine Car and Ollie Johnston’s station from his Grizzly Flats Railway. 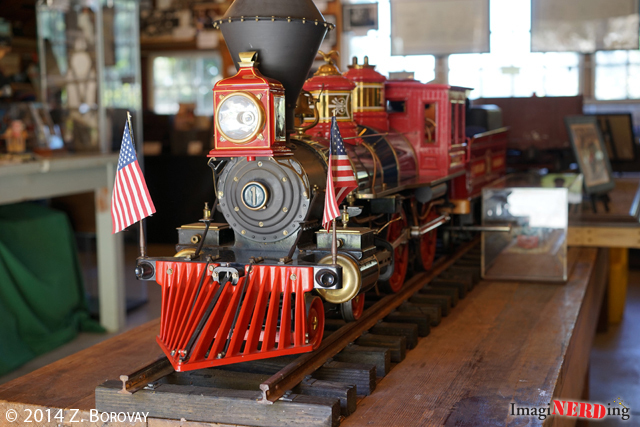 Have you ever visited Walt’s Barn at the Los Angeles Live Steamers Museum at Griffith Park? Visiting Walt’s Barn, like during the CommuniTOUR, is a part of the Southern California Adventures by Disney tour. If you’d like to visit Jim Henson’s Studio, Imagineering and get special behind-the-scenes tours of Disneyland and Disney California Adventure, then email Teresa at Fairy Godmother Travel! Tell her that George sent ya! I had never even heard of this, and now it’s definitely on my Disney bucket list! Thanks!